Did you know that Knottwood Community League runs Kinder School and Out-of-School-Care programs? You can come to learn more about both programs at our upcoming Open House where you can view the facilities, meet the teachers and more! Knottwood Community League Hall (located behind Satoo School in Satoo Park, next to the playground). In close collaboration with Satoo School and its teachers, we provide an environment focused on the development of Satoo Kindergarten students. Located on the main level of the newly renovated Knottwood Community League (KCL) Hall, this active play and educational-based program is meant to provide supplemental care to students based on the current curriculum offered by Satoo school. 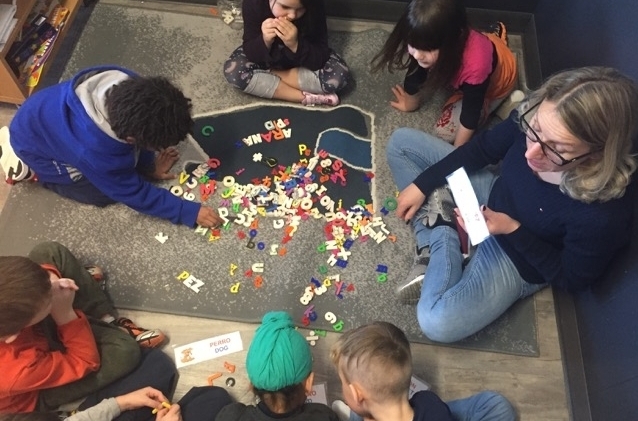 In close collaboration with Satoo School, we provide an active play and educational-based program allowing full-day care outside school hours for Grades 1 – 6 in the basement of our newly renovated KCL Hall.